Matthew is a Senior Engineer with Hunter H2O with over 15 years’ experience in the water industry. He specialises in corrosion engineering with an emphasis on pipeline condition assessment and laboratory corrosion testing as well as supervising the corrosion laboratory as a whole. Matthew has recently finished his PhD based on research conducted on electrochemical testing of soils. The main focus of the thesis was on the prediction of long term pitting corrosion of buried cast iron pipes in soil using electrochemical techniques. This work involved the development of a novel electrochemical cell to specifically test soils. He has presented original research papers in this field at ACA conferences over the past 10 years. Matthew has developed a core expertise in all aspects of condition assessment, particularly pipelines; primarily this work has been for Hunter Water. In addition, Matthew has consulted for a number of councils and utilities across Australia in a condition assessment capacity. Matthew is a former president of the Australian Corrosion Association. 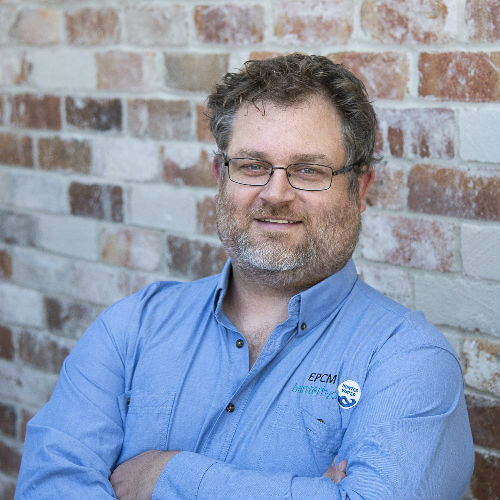 In addition, Matthew served on the operations board of the Australian Corrosion Association (ACA) between 2010 and 2014. Matthew also serves as the Newcastle Branch treasurer and an active member of the Newcastle branch of the ACA. Matthew was recently elected as the junior vice-president of the ACA.